The Fortnite Craze — A Foreshadow of The Future of Media? The popularity of E-Sports is exploding. And the recent Fortnite craze may foreshadow the future of media. Let’s start with a story about a young man named Tyler Blevins. You may already know of him as Ninja. Ninja currently drives the heaviest social media interaction of any athlete on the internet. He doesn’t play in the NBA or the NFL. 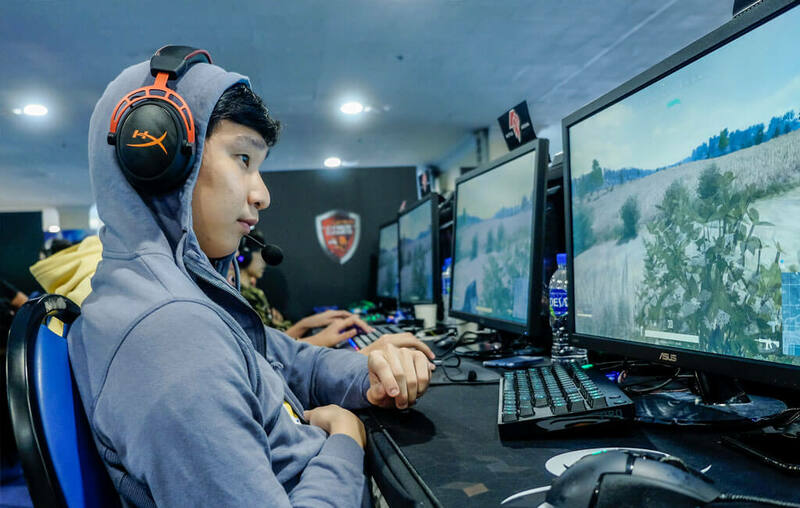 He’s a professional E-Sports gamer with a wildly popular YouTube channel and he earns $500K+ monthly from subscribers on Twitch who watch his video game-play. I first heard of Blevins back in March when he was challenged a game of Fortnite Duos by platinum rap artist, Drake and their contest broke the internet. Ninja’s success story totally blew me away for a few minutes. The next weekend while on a playground trip with my kids (4 and 6), I heard a group of 10 year olds debating Ninja’s greatness. They understood exactly how he had monetized his video content, what he was earning, what charities he supports and they had all watched countless hours of his game-play. The past 10 years have given us the mainstream-ification of social media and mobile user experiences. As I ponder where media is headed in the next few years it’s stories like Blevins’ that are breaking in the news and alive on the playground that make me wonder what’s next for emerging media. This is emerging as mass culture. It leads the imagination into all aspects of communication and media behavior. Especially because it’s popular with a variety of ages but it’s huge with very young audiences who will be growing up quickly and taking their expectations of media with them. Their behaviors will shape the future of media. We’ve seen what technology and social media have done to the attendance and ratings of live sports events. However it’s done very little to diminish the celebrity value of sports. Professional athletes and musicians are increasingly influential in our culture and video games are a way for them to relate with fans, as well as compete with each other in a crossover channel and merge audiences into an entirely new context by doing so. There’s a story just this week of David Price, pitcher for the Boston Red Sox, who had to sit out of a game (his job!) due to carpal tunnel from playing Fortnite. He’s since committed not to play the game while in the ball park! “The Internet of Things,” especially voice enabled devices in the home and increasingly powerful portable technology means that all of this stuff is going to be always-on and always available, very soon. Brands and organizations that aren’t familar with e-sports or real-time social gaming may be the victims of the next massive disruption in marketing. The marketing and media industries have been looking at real time opportunities, augmented reality, vIrtual reality, The IOT, Influencer marketing and social advertising among so many other things knowing it’s big and wondering exactly how it will all tie together. The interactive environment that gaming provides and the instant access to celebrity that social media offers seem to be merging right now in a manner that could shift from “rapidly growing” to “full on mainstream adoption” of internet connected, socially interactive environments for live entertainment. There are fewer and fewer walls between people when it comes to communication. The opportunities created by that increasing level of connection is reinventing entertainment and leading media culture into new frontiers. Were The 2018 Winter Olympics World Class? This year’s Winter Olympics were more connected than ever, and there were more ways to watch them than ever before. Viewers could even receive text updates from NBC when their favorite athlete made his/her debut. 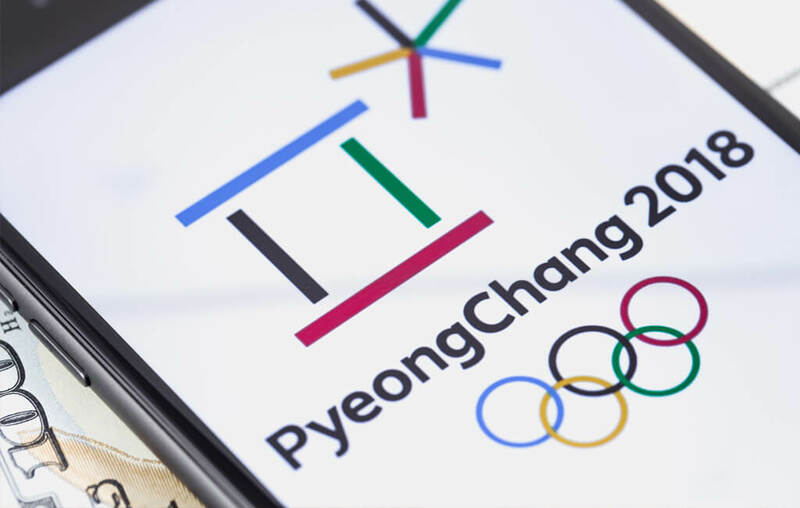 The number of people using NBC’s app to stream the Olympics this year was impressive. 11.6 million users have been reported along with a 174 percent increase over the 2014 streaming audience (NPR). But despite these media factors, viewership was still down from the last Winter Olympics held in Sochi. This is an interesting problem to solve. Most people want to watch the Olympics on TV, it’s a tradition people are used to. But that tradition doesn’t line up with modern media habits. People don't want to adjust their schedules to tune in to the event they want to watch in real-time. Streaming is more popular than ever and traditional television viewership is declining. The decline in overall viewership seems mostly attributable to the rate of change in the TV and video user experiences combined with totally different media consumption behaviors. As mass audiences get used to viewing on their own terms in their own time — what’s the incentive to go back and watch an event if the outcome is already in the headlines? The media environment is changing too fast for the Olympics' media partners to iron out the best viewing product? We'll have to wait two or four more years to see if the program offering catches up with audience behavior and viewing preferences. What, exactly, is the media value of Snapchat? We can go ahead and just air that question out loud. It’s okay to ask. By now most folks are aware that Snapchat is a bit of a wildcard in the arena of media. Five years ago it was the up and comer. Two years ago it was threatening to be the future of social media. One year ago it was the Facebook Ad killer — and none of that has actually panned out. But the platform continues to hold solid ground while anyone that isn’t a daily user continues to scratch their head. 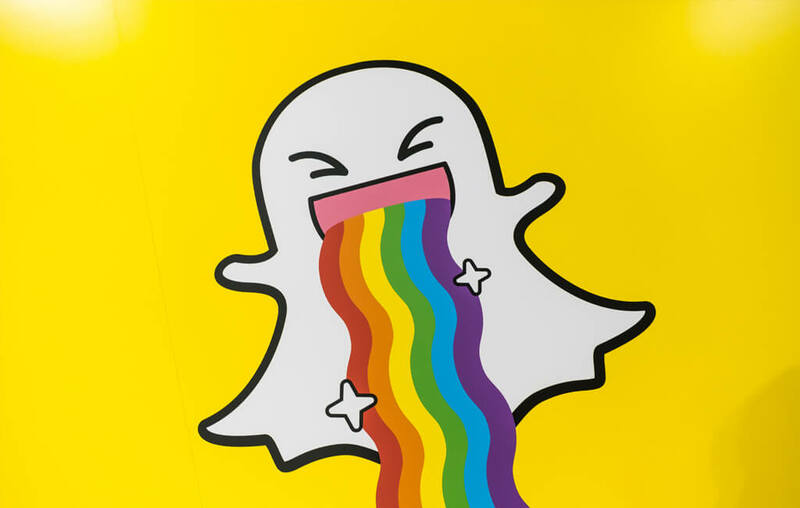 Snapchat has 170 million daily users at last count. That’s their flagship statistic. By comparison using late 2017's figures, Facebook has 1.3 billion, Instagram has 500 million, and Twitter has 330 million. And when you know that Snapchat’s audience of daily users is almost entirely between the ages of 13 and 30 you have an audience platform that can't be ignored. And now we can begin to understand the hype. However, what is the platform doing to deliver on that value and monetize that opportunity? We aren’t sure. The data on how users are using Snapchat is extremely limited as of now, but in the meantime, Snapchat can tout the daily users and the valuable makeup of that audience to advertisers. Putting the advertising value in perspective, Instagram’s Story feature alone has more users than Snapchat has total users, that’s 180 million. The makeup of that audience leans older but the volume and behaviors of Insta’s audience makes it more practical as a “planned, bought and measured” ad platform. The ad units available through Facebook and Instagram are more versatile and more adaptable to different objectives as well. So what exactly is the value of Snapchat? It’s what the kids are doing. And that’s cool. It’s setting new trends and inventing new rules. It was the first to favor vertical video and gave the world face filters. If a brand can do something organic and innovative and it gets noticed, then it can help your brand gain some favorable press, and it’s definitely fertile territory for cool points in the industry. The data is still out on whether the ad product matters with the audience and whether the audience is who they say they are. At this point, among a variety of very effective pay-and-measure ad channels, it’s still a variable. We believe it’s absolutely a worthwhile experiment for brands that are committed to the channel and able to optimize on performance. It’s definitely a testable variable that’s well positioned to generate word of mouth (and industry PR) for a brand that’s authentically participating in the culture of the community. Where do you get your news and current information? I get a lot of mine via Facebook. I like to think I have a well-trained eye for the source behind the content, regardless of the branded blue and white interface that it’s presented in. But the perception of “Facebook as a news source” is an increasing problem for a brand that authors no content. This is the age of news-entertainment and hyper-partisan journalistic agendas. 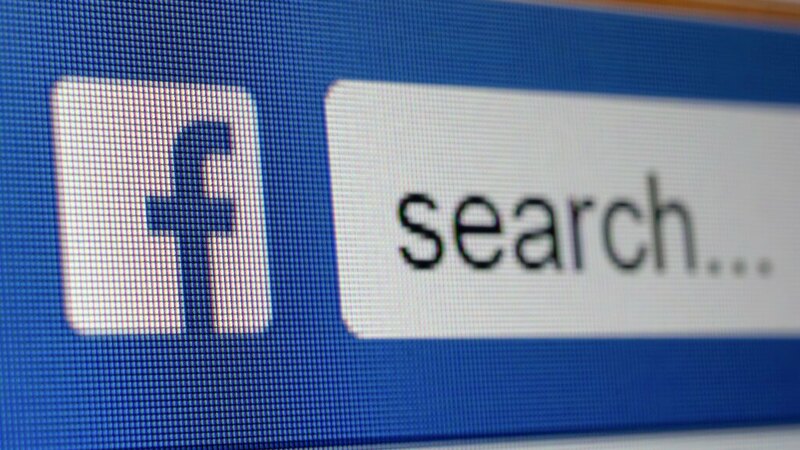 Facebook simply stack-ranks the posts that users seem to care about and then pushes them forward to relevant audiences. So in fact, I get a lot of my info “through Facebook” but not exactly “from Facebook." Facebook is not in the business of editing or editorializing the content that is shared there even though they have increasingly acknowledged their corporate responsibility for the experience they provide. They offer a connected environment for the exchange of information first, and a very lucrative advertising product second. Some might argue those priorities are reversed. But I’m fairly certain Mark Zuckerburg still believes that advertising on Facebook has no value if the audience is undermined by it. This is a principle that is seriously challenged by the current reality. If a story is getting attention, Facebook deems it more relevant, and accelerates its exposure to more users, compounding the viral effect. This makes sense when it’s something harmless, funny, interesting or truly relevant. But when information is deliberately crafted to do political damage, the fact that users are fascinated by it without gauging its veracity is a huge problem for the platform. The algorithm’s reward for zeitgeist has been harnessed by partisan publishers in a way that is politically potent, yet profitable for Facebook. The company understands this threat to it’s future, but the solution cannot be simple when audience engagement substantiates the value of the content, especially when it’s apparently “false” information. People have been talking about the “death of Facebook” since it opened itself up beyond a student-only social network. The organization tends to figure out the issues and navigate them extremely well to remain relevant and useful. The pressure is on, but I have come to expect that Facebook would rather make the most responsibly balanced move for their audience and their business than the most popular or expeditious one. As retail continuously adjusts to customer demographics and behavioristics, the apparel category is still in the early stages of properly serving the plus sized consumer. This consumer is ready to be more than an afterthought in the fashion industry and companies are starting to respond with dedicated design attention, broader size ranges, and more options in the plus sized category. According to an article in eMarketer called, “A Bright Spot for Fashion? Plus Size” data from market research firm The NPD Group shows US sales of plus size apparel including those for teens rose 6% in 2016. Also, the research shows size 16 as the most common size in women’s apparel today. This means more women in America right now are considered plus sized than not; But the apparel industry has yet to meet these customers where they already exist. Smaller sizes are still emphasized by most brands in retail who choose not to stock sizes 14+ in store. They continue to feature smaller women in their marketing materials who, according the statistics, are less relatable to a majority segment of potential customers. The research shows size 16 as the most common size in women’s apparel today. This means more women in America right now are considered plus sized than not. However, forward thinking brands like Nike and JC Penney see the apparent business opportunity within these facts. They have tapped into this market by expanding their offerings with new plus sized collections. There are also brands that dedicate themselves solely to plus sized women like Eloquii and Ashley Stewart, who are currently winning as trendy, go-to choices. Plus sized customers have the potential to be extremely loyal customers of brands who make them feel stylish and current, the market has undeserved them for too long. In the past, plus sized women have struggled to find self-expressive clothing in stores on a regular basis. The apparel market has not represented the truth. Women want to feel good and fashionable, and there is a business opportunity for brands to step into that space and deliver on it. Smart companies are realizing this now. At Barber Martin one of our core tenets is “let the customer lead.” Better serving the customer benefits the brand, and creates a greater opportunity to sell. Is TV Viewing Going Over The Top? 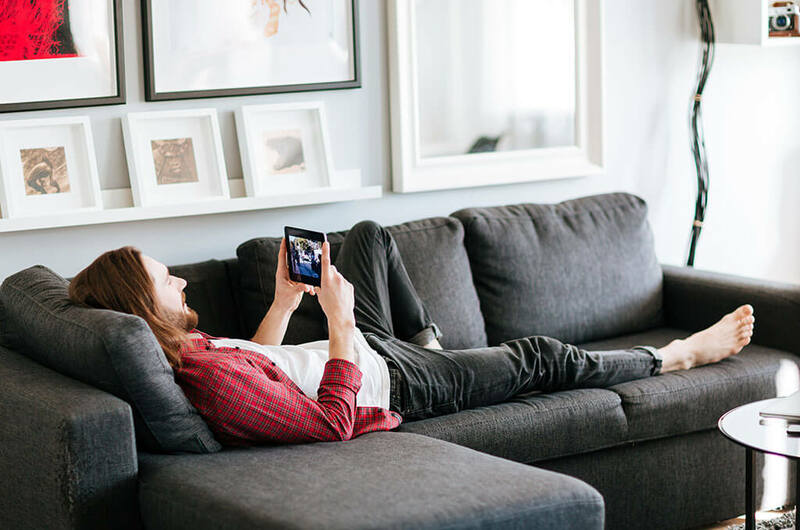 Television viewership and viewing preferences have been making a shift due to the rise of over-the-top television (OTT). Ng also goes on to discuss why consumers are tuning into OTT and in what ways. “They can watch things on the go. It’s on their own schedule, so it’s very different from linear television where it is scheduled viewership.” In this day and age where consumers expectations of personalized products and services are never-ending, we can understand why people have responded positively to OTT. 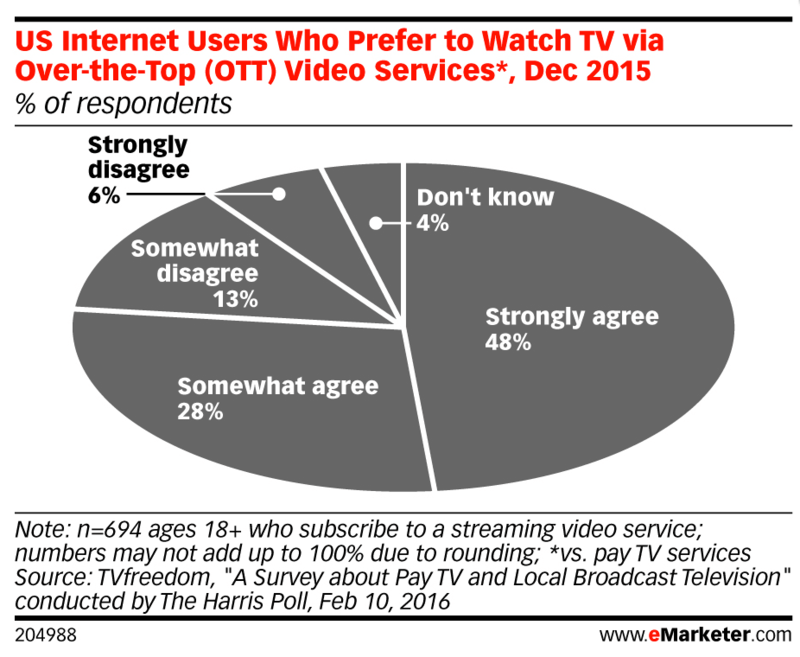 A separate poll from eMarketer shows us that 48% of U.S. internet users strongly prefer to watch TV via OTT services. But what does this mean from an advertising perspective? Well, TV audiences have always been a primary consideration of media buying. And it is vital to be aware of the channels that win viewership and the characteristics of different audiences across channels. It’s our job to keep up with changing trends while keeping a non-biased, full circle view of the landscape. Advertisers will have to continue to strategically place different cross-channel media according to their own goals and audience composition. For instance, research from eMarketer shows that Millennials are responding a lot quicker to OTT than Baby Boomers and Gen Xers. It also shows that the trend hasn't necessarily been adopted strongly by other countries like Canada, Australia and the UK. Many other factors need to be weaved in and considered by advertisers before buying media. Regardless, OTT adoption is an accelerating trend and data shows that it’s a legitimate contender for media dollars. But as it grows into its own, OTT is uncovering its own issues around increasing demand and the effect that has on inventory. Also, because these platforms allow companies to deliver their ads to a very specific target audience of their own design, users are sometimes left sitting through the same advertisements repeatedly throughout their episodes because they are the prime target of that ad. This frequency saturation can affect consumer attitudes and brand sentiment in less positive ways, actually driving consumers away. Each medium has its own strengths and blind spots. Broadcast TV ads build the basis for a brand over time because of its ability to hit a wide range of people, while digital television is growing as a complementary method, contributing to a multichannel customer experience. OTT, Connected TV or streaming video reaches audiences that may not be watching as much scheduled programming. TV also generally shows the most significant ROI over time, with digital showing a strong ROI early on but usually dying out sooner. As new trends and forms of media consumption arise, advertisers will continue to assess the best media channels to reach audiences, meet client needs and complete business goals. This can only be done by keeping up with current consumer channels and navigating the steady rate of change in the industry. We will never stop learning. Specialty Retailers — Tap Into the "Network Effect"
Why turn to Amazon instead of ordering products from specialty brands you love? Trust. By now, you probably trust Amazon. While they don’t sell everything, they very likely sell something close at a few different price points. Amazon has found a way to be at the front of the consumer’s mind before they even consider the next purchase. Not to mention the convenience of research experience and fast, cheap (or free) shipping. These factors contribute to the surprising fact that 58% of people make the majority of their purchases with Amazon. * So what is a specialty retailer to do? Adrien Nussenbaum, the U.S. CEO of Mirakl, digs into this for an article on Chain Store Age. He reminds us of ways that specialty brands with physical stores can gain an edge with their customers against the giant, Amazon. Specialty brands should remember the importance of leveraging brick-and-mortar as an asset for opportunity, instead of a liability of overhead. Brands need to be inventive to establish stores as a destination. They can do this by offering the customer a bigger reason to visit that doesn't hinge on simple "product for price" transaction. Nussenbaum explains that tying this approach to location to online community of people with lifestyles relating closely to the brand can create a “network effect.” Customers connect with each other at the store and share a connection with the brand. This leads to brand loyalty and involvement among individuals but also anchors a community. Specialty brands are much better positioned to connect to passionate and interested people in niche communities. 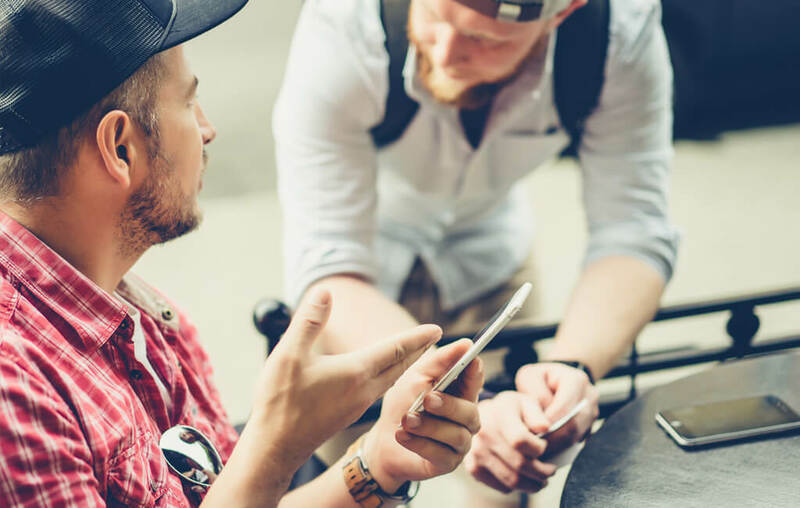 Open-minded leaders in niche retail must find the right mix of resources and strategy using location and experiences to connect with customers. And more importantly to connect customers to each other through the brand. • Lululemon offers their customers in-store yoga flow classes on Savasana Sunday. • REI encourages their people to "Opt Outside" and offers a variety of “skills classes." 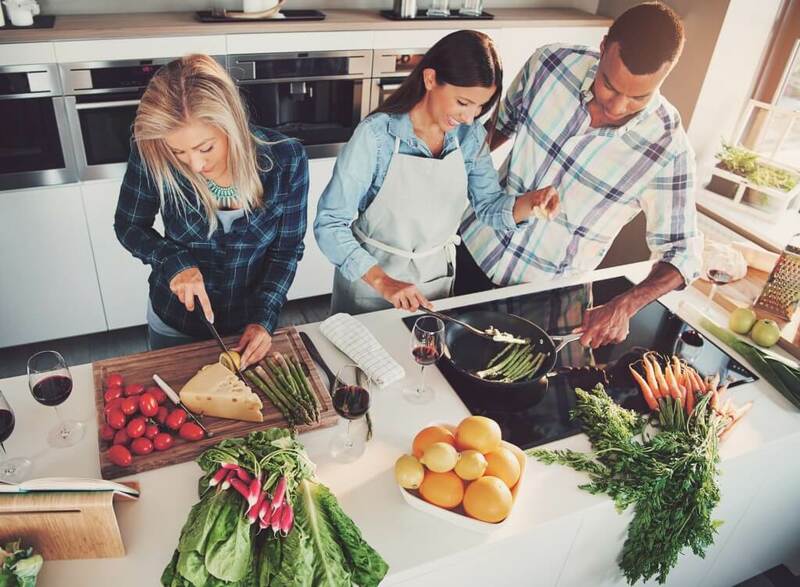 • Sur La Table offers cooking classes that are searchable by location and culinary styles. • Richmond’s own Carytown Bikes offers community rides every week at two different levels of intensity. All of these examples allow customers some flexibility to join an event that fits their life and connect with the community and the expertise of the brands. How Relevant is Facebook Advertising? This is not just a list of the pages and profiles you’ve liked. It’s also an index of the types of content you’ve shared and interacted with. It’s essentially an inference of interests. Go check it out. Maybe it’s time to prune the garden of your profile. Pull some weeds. Like that show, “Weeds.” Remember that show? Well if Facebook “thinks” you liked it, then that interest may be used to serve you ads. At first take, this topic is received as one of privacy concerns. People are a little creeped out to see what Facebook has gotten wrong or worse, what Facebook has gotten right. However, I think it's more about the relevance of the advertising and your right to curate and design the criteria by which you are served ads. When I first went in to my preferences, I was surprised to find that Facebook had me tagged for a variety of broad political topics and religious and spiritual affiliations. This explains some of the ads I saw in my newsfeed and subsequently flagged “not relevant,” which is a more localized preference setting. Needless to labor the point, I removed some of the things I considered a misinterpretation of interest. However, I left most of the things that I do find relevant and would invite advertisers to know. It’s no big secret that online advertising has privacy, transparency and relevance issues to resolve but I am encouraged by tools like this. As I see it, it represents an evolving participatory democracy where audience and advertiser can agree to engage and improve the value of the advertising in the process. Advertisers always want to reach audience. It’s what we do. But once we have the attention, how do we reward it? Seeing this title in one of my news feeds gave me a sour taste. That title spells out what is wrong here. "Breaking through to consumers" implies a power struggle and commodifies the audience. "New tactics" will never be the solution if the strategy is not sound and respectful of the audience. This tactical perspective is efficient for business but is inherently disconnected from people. What we need to remember and respect and furthermore appreciate is that the audience is comprised of real, living, learning human beings and they have the power. We should want them to be stakeholders, not targets. 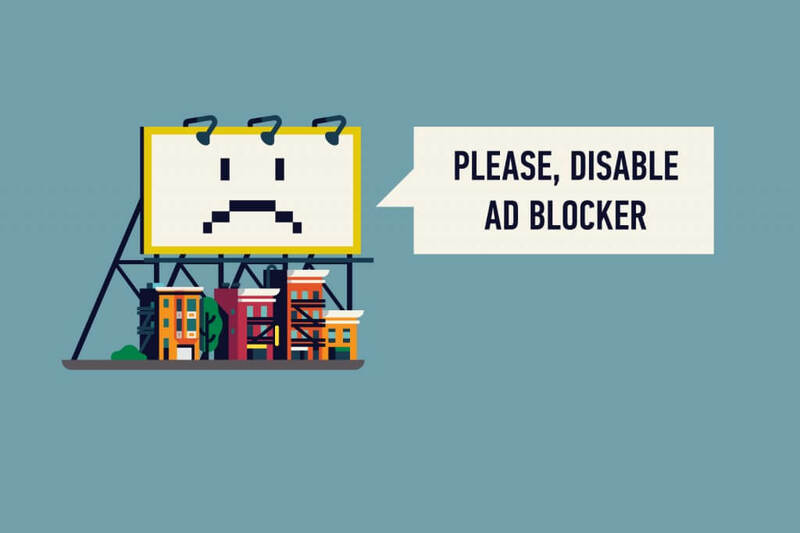 If advertising at large was more relevant in addressing a need, the adoption of ad blocking and the aversion to marketing itself would not be such an existential issue to the industry. Let’s be clear, advertisers have created this immunity behavior. Breaking through it is not the answer. Improving the approach is. Sure stepping back to consider the human experience makes our jobs harder. That’s fair. We’re not curing disease or roadmapping a viable clean energy solution. We’re simply trying to communicate things that matter to people that care. I’d rather have my audience cut in half than be twice as large with half of them annoyed at the ad I just paid to run. Bringing people back to the table requires advertisers to deliver some validated value, IN THE AD. This tension is always a matter of scale and economy. As this article points out, native content, native advertising is more effective. When we talk about efficiency metrics it outperforms but it requires much more time to create and curate and it is generally placed in front of much smaller populations of people. Business often moves much faster than that and the friction we observe is the difference between the speed of business and the speed of a human attention span. If the audience doesn’t know if they care about your message, you better deliver it quickly. If they do care, you’ve got some time to connect. 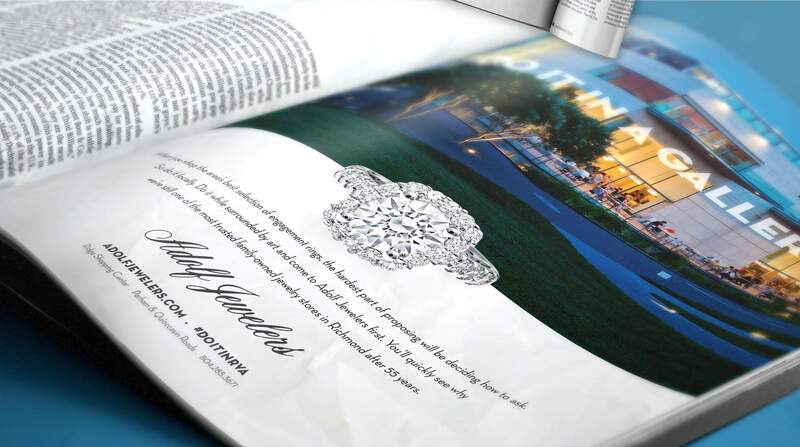 If the goal is simple and a banner ad makes a quick value promise, then the payoff is proportional. This has its place. Everything doesn’t have to point to substantive content but simply adequate, relevant reward. Where we end up is that not all advertising can be long form, emotionally substantial narrative content that connects with us like a good book. So the lighter more agile units that comprise this content pollution should be crafted with more deliberation to pursue goals that benefit both audience and advertiser. If that’s done well the merit of the message and the experiential value stands a much better chance of tipping back toward serving up a win-win for audiences and advertisers.